This adorable, updated, well-cared for home is move-in ready! The main level features vaulted ceilings, dark-stained hardwood flooring throughout, open staircase, gorgeous rod-iron balusters, AND a completely remodeled, gourmet kitchen. 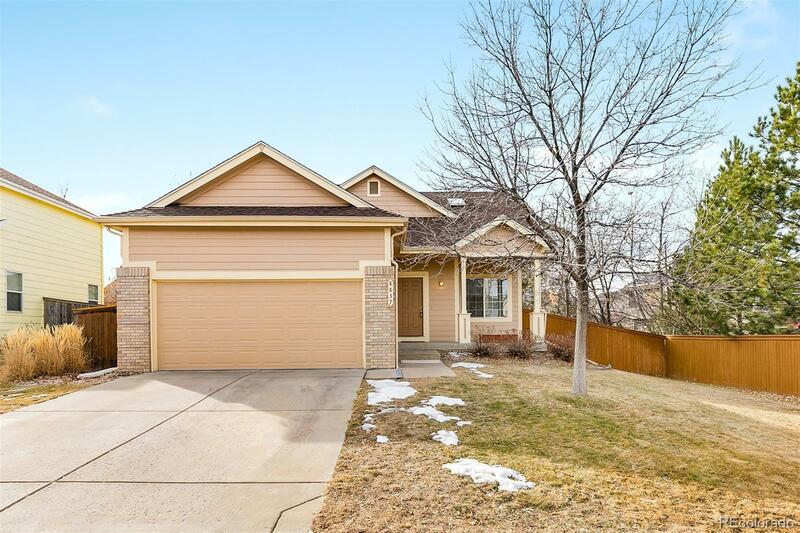 No expense spared here...with designer cabinetry (full overlay, crown molding, wood dove-tailed drawers with soft close, and built-in wine niche too), slab granite, spacious pantry, upgraded stainless appliances, gas stove, and single basin undermount sink. Upper level boasts 2 spacious bedrooms (one has a built-in closet organizer, brand new carpet in both), and a full bath. Lower level has a large family/media area w/ gas fireplace, 3rd bedroom, and full bath. The basement is unfinished with plenty of storage, laundry area (washer and dryer included), two egress windows and crawl space...the possibilities are endless to create a unique space. Situated on a large lot with welcoming front patio, large backyard patio space with newer pergola. Newer roof!